Time to Say Goodbye… To Your Dining Room? 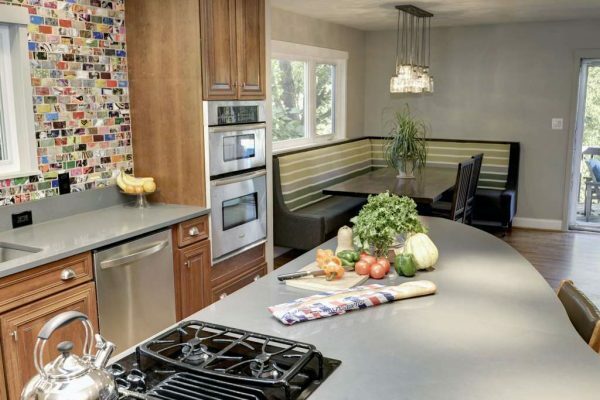 This is a sponsored post by Anna Gibson, owner of AKG Design Studio and an award-winning, certified kitchen and bathroom designer. 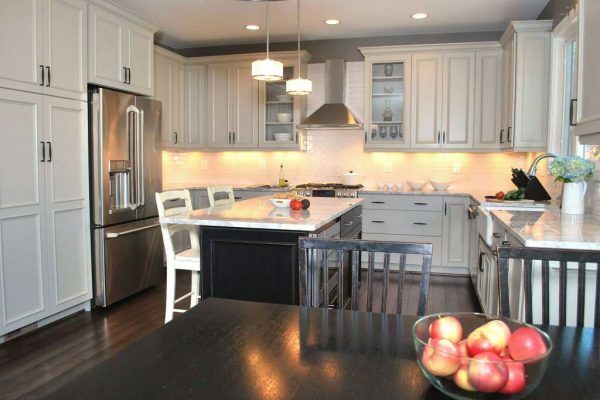 AKG Design Studio is a boutique design firm specializing in kitchen, bathroom designs and cabinetry sales. Contact her at 571-989-2541 or [email protected], and check out her work on Houzz, Pinterest, Twitter and Facebook. Now that Thanksgiving is right behind us and we are off full speed ahead into Christmas, let’s think about how many times did you use your dining room this year. Once? Twice??? Or maybe three times? If you are like most Americans, you use your dining room just a few times a year and it is really just the storage room for grandma’s china. They’re usually small and blocked off, and that’s not how people want to live anymore. Sound familiar? Then it might be time to bid it farewell. According to Wikipedia, in the Middle Ages, upper class Britons and other European nobility in castles or large manor houses dined in the great hall, away from the kitchen, as that was someone else’s job. Today people enjoy cooking as families and for their families and friends. Breaking the barrier between the dining and cooking area, and making it into quality time for all. 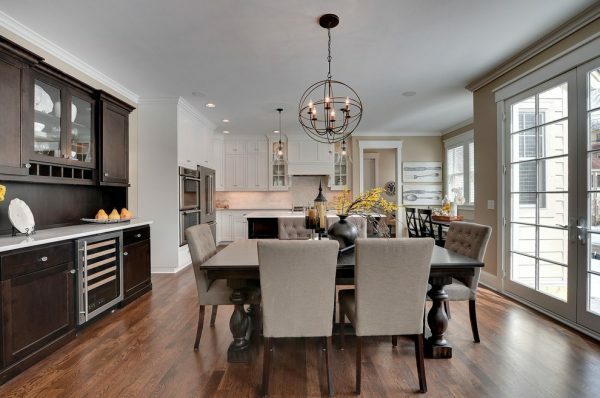 In our blog about trends we explored the latest growing trend of opening the kitchen to the rest of the house and creating a multi-functional room, and just like that, the dining room became one with the kitchen. Not only does this type of layout offer better flow on the main level, but most times it also helps gain that extra square footage needed to add everything you wanted in your new kitchen design. Based on your space, you may still be able to keep a full-size dining room table as well. Just because your dining area is now part of the main floor, doesn’t mean that you can’t have a beautifully designed dining space. Combining a classic dining table with built in cabinets, can create a stunning mix of materials and colors. Now you can display Grandma’s china and enjoy the view and the memories every day and not only when you are dusting. Poll: How often do you eat in your dining room? Adding built in storage in the dining area, is not only beautiful but also functional. Base cabinets can alleviate some the storage from the kitchen. All the holiday dishes that take half of the pantry can be stored in the dining room space but close enough for daily or weekly use. The dining room is a precious piece of real-estate in the house. 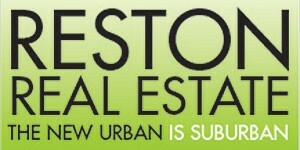 With rising home prices and smaller parcels of lands available in big metro areas. People opt out to convert those dust rooms to much more livable space. What should you do with your dining room? Many homeowners choose to convert the space to main floor bedrooms for aging parents, home office, playrooms, music rooms, homework station and more. Spaces that the family can enjoy on daily basis and not just on Thanksgiving.